Jager Racing scored some time with Taylor Wilson of Snail Performance. Taylor shares some creative ideas on getting more people to the track, his biggest weight savings mod, and what keeps him motivated during both the good and testing times of racing. 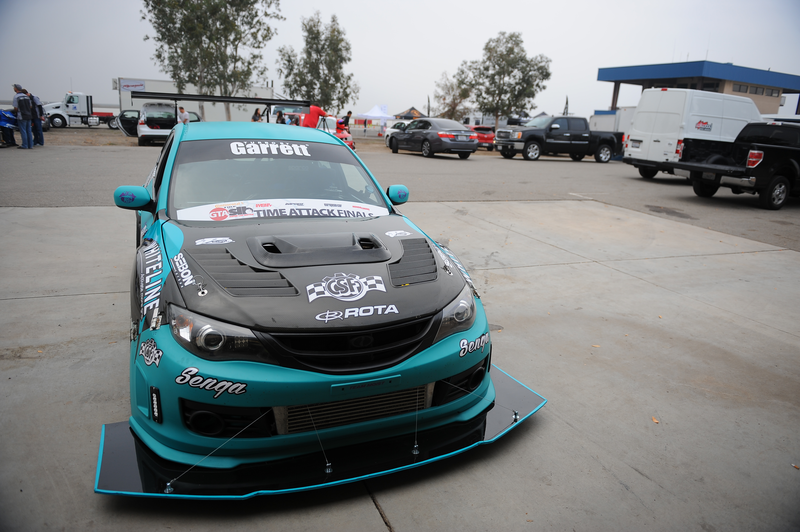 Be sure to catch him at Buttonwillow this weekend running with GTA! Taylor Wilson (TW): My car is a 2009 Subaru WRX called “SHOWKAR”. Before being a dedicated track car it was also my daily driver, even after being covered in full livery. Often people on the streets or gas stations would ask the typical questions like quarter mile times or if I drift. Eventually it just got to the point instead of trying to explain what time attack was, I would just say it was a stock showcar. The license plate showcar wasn’t available so we went the gangster route and added a K instead haha. It’s hard to say one major modification to the car. While it’s a 2009 WRX, the only thing left WRX on the car are the hubs which are soon getting replaced with STI 5×114 setups. Nothing on the car is left untouched at this point from the LIC Motorsports shortblock, Brian Crower heads, ARP Performance aero, Fortune Auto and Whiteline Suspension, Forge Brakes, CSF cooling, Turbosmart and Turbo by Garrett forced induction, and Wheeldude wheels. TW: This year we are running in Global Time Attack, with the possibility of a few Time Trial events with NASA AZ for testing. After two years of spectating, I am really excited to get out to Road Atlanta and NOLA. I began in HPDE like most and was instantly hooked. 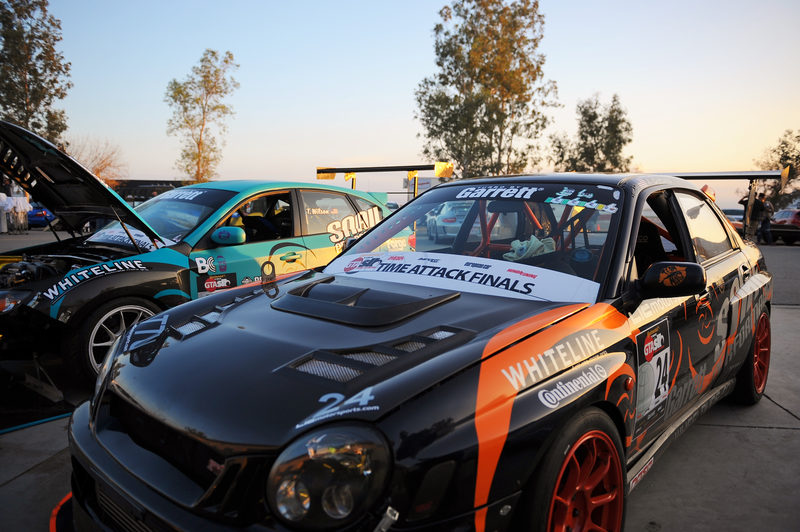 We ran a few time attack events and then found Global Time Attack. The events Jason and the rest of the crew put on are top notch and we’ve been attending ever since. It’s hard to pick a favorite type of racing, as I also got into Honda Challenge wheel to wheel racing last year. My favorite is whatever I’m doing at that given weekend. To choose one over another is impossible. We haven’t decided to run in either limited or unlimited. Certain new rules have me debating whether I want to make funky changes just to meet rules, or just get the cutting tools out and go all in. JR: What got you started into cars and racing? TW: I think everyone starts off this question with “Ive always been into cars.” For me, I’ve always liked taking stuff apart, whether it be my pops’ tools or my RC cars as a kid, my bike, or anything else. If it had parts I was taking it apart and trying to modify it. Looks were always important as well. As a kid I had a BMX bike I jumped in a local dirt lot, but never actually raced. You can bet I had a sweet number plate on it though, haha This led me into car shows, but after one HPDE day with Travis Barnes, our unlimited driver, I traded in my old 04 WRX wagon covered in horrific carbon fiber and started fresh with the SHOWKAR. JR: What is some advice you would give someone starting out? TW: Get out there and do it. Don’t worry so much about how well you do, just have fun with it. Racing should always be fun. It’s truly frustrating at times, but in the end we all look forward to getting to the track and seeing our friends. Aside from the racing, our community is what really makes this a great sport. When it comes to starting with a new car, don’t be afraid to ask questions. People like to say racers never share their secrets, but let’s be real. This isn’t F1 and most of us are not getting rich doing this. We do it for the love of racing. Everyone will have an opinion on what the best parts and setups for your car will be. Forget what the million internet groups have to say, and believe in the seen and proven. When you get advice from your track family, its advice based on the time and money put into figuring things out, unlike Johnny Computer who reads forums and thinks he knows what’s best. TW: Aside from Willow Ranch BBQ binges while at the track, the last few years have been a complete 180 health wise. It started when I was offered a seat in a Honda Challenge car for an endure race, but I physically didn’t fit in the driver’s seat. At 5’9” and 300+ lbs, I was a big boy. Since then I generally meal prep during the week and workout at least 4 days a week lifting and running. The biggest weight saving in the car has been in the driver seat. You will also find me with a few packs of tic tacs at races. Can’t race without minty goodness. TW: Motivation is based on the constant desire for improvement. I’m not the fastest driver, and I don’t have the best car. I do however put all of my time and resources into constantly growing in the sport I love and reaching new goals. I also have a great support crew behind me that is always there to keep me going. I can’t thank my family and race partners enough. At a certain point, whether it be team members, sponsors, or spectators, we have all become more of a family than just a group that race together. JR: If you had to pick one song to be your driving anthem, what would it be? TW: It’s hard to say. I have always believed that if you stick someone in a car and send them around track, they will be instantly hooked. This however, isn’t cheap. If there was some type of time attack driving experience, where drivers were allowed a few laps with an instructor to see what they were missing, people would buy into the brand. The competitive nature in us all would come out and create a new customer base. JR: How did the Snail Performance team start up? TW: Snail Performance started with Travis Barnes in Arizona. He was one of the local ECU calibrators, which is how I met him. One trip to Subiefest, and the Snail Performance family was born. I introduced Markos and the Snail Fam has continued to grow ever since. 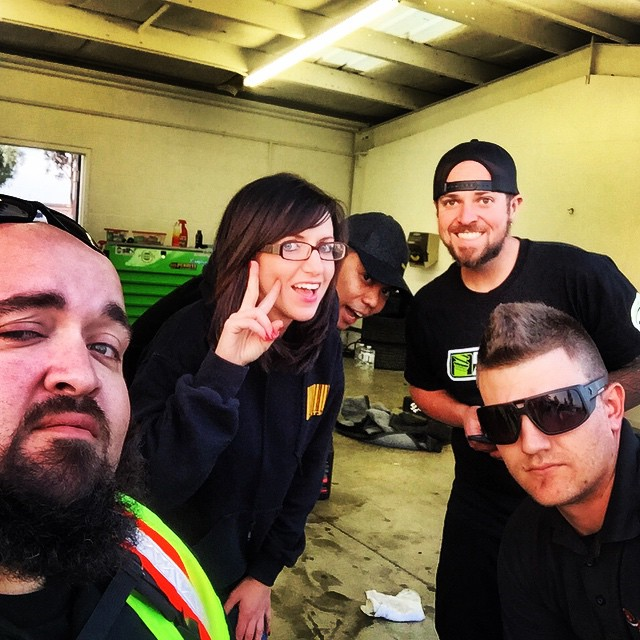 We started working out of Travis’ garage doing work for fun, and it evolved into a tuning facility out of FW motorsports in Northern California and a retail and service facility in Glendale, Arizona. JR: What has been your greatest learning experience with your car? TW: Probably the biggest realization has been the success that comes from family. When I say family, I mean those you choose to surround yourself with. Just like anything else, a car and driver are only as strong as those supporting it. This is proven with the incredible times and your great success in the Jager Racing STI. In the last few years our little family has spread out somewhat and while I miss our humble days in the garage, we will continue to grow and move forward until the time we can all come back together and spend late nights working on our cars under one roof, supporting each other’s success.